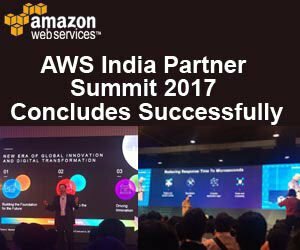 The India AWS Summits 2017 provided a multitude of learning opportunities for both, new cloud users as well as experienced AWS customers and partners through several technical sessions, demos, workshops and boot camps. Held on May 3 in Mumbai, May 9 in Bangalore, and May 12 in Delhi, the summits witnessed participants from the cloud computing community connecting, collaborating and learning about the latest innovations from AWS. 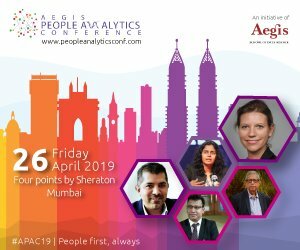 The summit held in Mumbai witnessed a footfall of over 2500 delegates and personalities, across verticals of technology; Delhi and Bangalore were no less. The keynote of the summit was delivered by Terry Wise, Vice President, WW Alliances, Channels and Ecosystem, AWS and participated by other tech companies like GitHub, RedHat, SAP etc. “We are focusing on developing our partner ecosystem in India by focusing on ISVs so that there is a large support network to help our Indian customers in their cloud journey. We are also building our professional services in India to help our customers directly with some of the implementations,” he added. AWS’s highly reliable and resilient cloud platform gives freedom to ISVs to build and deploy their products around AWS eco-system with increased efficiency, instant service delivery, accelerated growth, enhanced scalability, high availability and reduced CAPEX. For instance, Vinculum is an Advanced Technology Partner of AWS and leveraging the platform capabilities they have built integrations to marketplaces like Amazon, ebay, Flipkart etc, 3PLs like Bluedart, eCom eXpress, Delhivery, Front end platforms, Cross border platforms which facilitate brands and retailers to sell orders in 65 plus countries from India itself along with end to end visibility, tracking and deliveries. Their flagship product Vin eRetail has helped many hundreds of brands and retailers in India to go online and succeed globally. 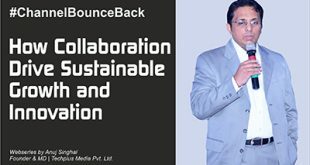 Another example is of Mediology Software which is India’s leading products company working with media and publishing companies since 2010. In 2012 they launched Readwhere.com, which in a short span of time became India’s leading digital reading platform. They have to their credit, India’s first company to be a finalist in the AWS Startup challenge, and recently won the Innovation award across the North India Partner Ecosystem. The deep domain expertise in AWS and Media has resulted in their platform being embraced by 2000+ publishers, from over 350 cities in India. Last but not the least Knowlarity is the largest cloud communications provider in emerging markets. Over 15000 businesses across 65+ countries trust Knowlarity’s suite of hosted products that make business telephony reliable and intelligent. One of the early adopters of all KRADLE (Kinesis, Redshift, Aurora, Dynamo DB, Lambda, EMR) services of AWS and leveraging the AWS platform has helped accelerate their growth and efficiently scale operations to serve customers all over the globe. While, elaborating on the APN program which helps partners build successful AWS-based businesses, by providing business, technical, marketing, and go-to-market (GTM) support and AWS Consulting Partners such as Infosys, TCS, Wipro, HCL, Accenture, PwC, Blazeclan, Minjar, Frontier, Intelligrape, Progressive, and Team Computers are helping enterprises migrate to AWS, deploy mission-critical applications on AWS, and are providing a full range of monitoring, automation, and management services for customers’ AWS environments. AWS Technology Partners in India include SAP, Microsoft, Adobe, Druva, Freshdesk, Manthan, Indusface, Newgen, RAMCO, Seclore, Mediology, Mithi Software, Vinculum, and many others who are providing software solutions that are either hosted on, or integrated with AWS. To access these solutions and more, visit the AWS Marketplace where customers can easily find, trial, deploy, and buy software solutions for the AWS Cloud. 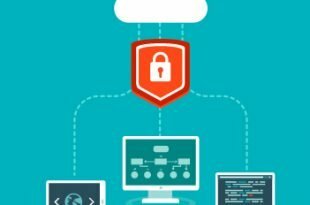 Enterprises and SMBs in India like working with/buying from the local partners they know, and the local AWS partner ecosystem can provide a great onramp to the cloud and delivering the confidence they need to migrate more workloads. 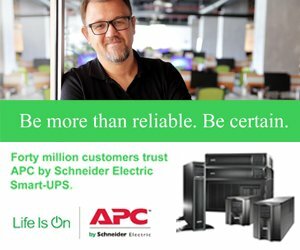 Trianz, an Advance Consulting Partner in the AWS Partner Network (APN) and an AWS Managed Service Provider (MSP) Partner, showcased its recent success on cloud innovation, and how its clients have embraced the AWS platform to scale up in the present day economics, to achieve their business goals. Vivek Gupta, Worldwide Vice President of Trianz Cloud Services, said, “The AWS Summits in India, as well as overseas, are highly-anticipated conferences, which provide the technology community with much-needed windows to view and understand the new platforms and cloud innovations on AWS.” “At Trianz, we continue to push the envelope to help our clients build a sustainable business leveraging AWS cloud, and gain a competitive advantage,” he added. Pronam Chatterjee, CEO and Founder of BluePi, was one of the eminent speakers at the summit, held in Mumbai. He spoke on ‘Three Scalability Fallacies – Consequences and Cure on AWS Cloud’. The company was also recognised for building products to deliver complex workloads on ‘Big Data and Analytics’, and demonstrate capabilities on ‘Real-time Analytics and Machine Learning’. Also, BluePi acquired the most number of referable clients in Big Data stack. Looking forward AWS is seeing a big opportunity in the AI and Machine Learning space while exploring what’s possible there as one can take large datasets and make some very complex decisions and inferences on it based on the platform tools developing in that area.